You don’t need to wait for a new year to update your business’s processes. But when the calendar changes, it serves as a good reminder to evaluate some of the tech and platforms you use so you can modernize your business and become even more effective. 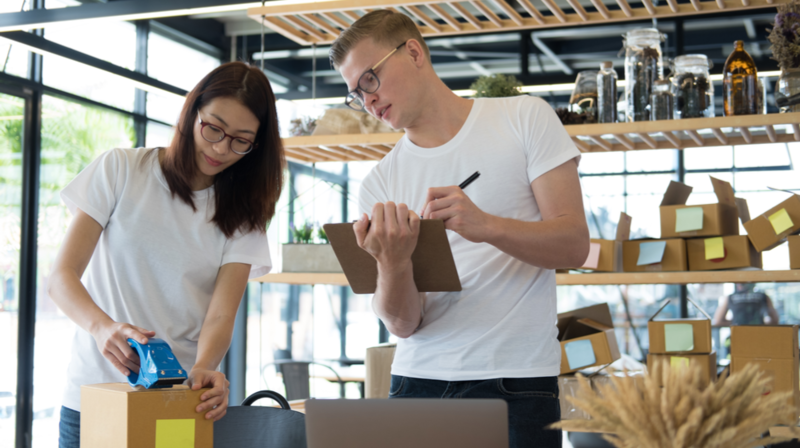 Here, members of the online small business community share some of the trends and changes that you should be aware of as you bring your business into 2019. The world of PPC advertising is always evolving to better target relevant consumers. So if you want your ads to have the biggest possible impact in the new year, you need to stay up on all the latest trends. This Search Engine Land post by Ginny Marvin features some of the changes you should know. If you haven’t updated the way that you approach your business’s analytics in several years, 2019 could be the perfect time to re-think some things. Today’s businesses have access to more data than ever before. Here, Lane Ellis of TopRank Marketing discusses some of the ways you can approach analytics differently moving forward. Google Analytics is perhaps the most popular tool for measuring website activity and traffic. But for those who are new to the online business world, some of the jargon used may be a bit tough to understand. So check out this Search Engine Watch Post by Robin Sherwood to get a handle on all the essential vocabulary. If you want to stay on top of the ever-changing social media landscape, you need to constantly learn about the upcoming trends. In 2019, there are likely to be several evolving platforms and features that could impact your business. Learn more in this Prepare 1 post by Blair Evan Ball. And that’s not all! In this post on the Inspire to Thrive blog, Hugh Beaulac offers even more social media trends that should be on your small business’s radar in the new year. And members of the BizSugar community also shared their thoughts on the post here. Sometimes, small companies don’t have the same type of trust and credibility as big brands. But even though your business may be small, you can still reassure potential customers about your brand. This SMB CEO post by Matt Shealy includes some tips specifically for small businesses. Just as it’s important to protect your business’s intellectual property in other areas of marketing and operations, it’s also important to do so on social media. There are plenty of accounts that may try to copy or emulate your trademarks. To protect them, read this Social Media HQ post by Christian Zilles. Landing pages are very useful for targeting new customers and getting them into your sales funnels. The design choices that you make for these pages can have a major impact on your conversion rates. In this GetResponse post, Brea Weinreb details some of the upcoming trends that could impact your landing pages in 2019. Entrepreneurship is more popular than ever. Plenty of people are realizing the freedom and excitement of owning a business or becoming self-employed. If you’re interested in taking the leap this year, check out this Copyblogger post by Claire Emerson. Then see what BizSugar members are saying here. When you’re first jumping into the business world, you need a plan for developing and getting the word out about your new venture. There are many different factors that go into this process. To get started on the right foot in 2019, learn from this PERK Consulting blog post by Lucy Reed.